It’s got to be the world’s worst kept secret – but why keep something so fabulous a secret?! WHY? We’ve been blathering on about this One-Day-Spectacular for a while now, but as it’s almost upon us, we’ll contiue the spiel… The clever clogs who curate and create the award-winning Secret Garden Party festival are behind what is surely going to be a wondrous Christmas Market. It’s for one day only – Sunday 18th December – and is not just for shopping, but also eating, enjoying, participating and being festively mulled (with wine). 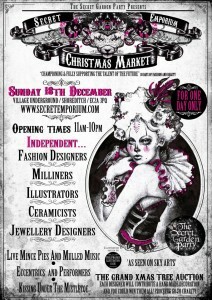 St Saviours will be there – and we know lots of the other designers and makers also taking part (….having spent lots of hat-income on their wonderful wares over the last year or so). They are all fab, and we KNOW it’s going to be the perfect place to pick up a unique but ultra cool range of Christmas presents (for yourself, or others if you’re feeling generous). So, if you’re in London, and looking for something lovely to do on the last Sunday before Christmas – pop over to this pop up market in East London’s Holywell Lane. 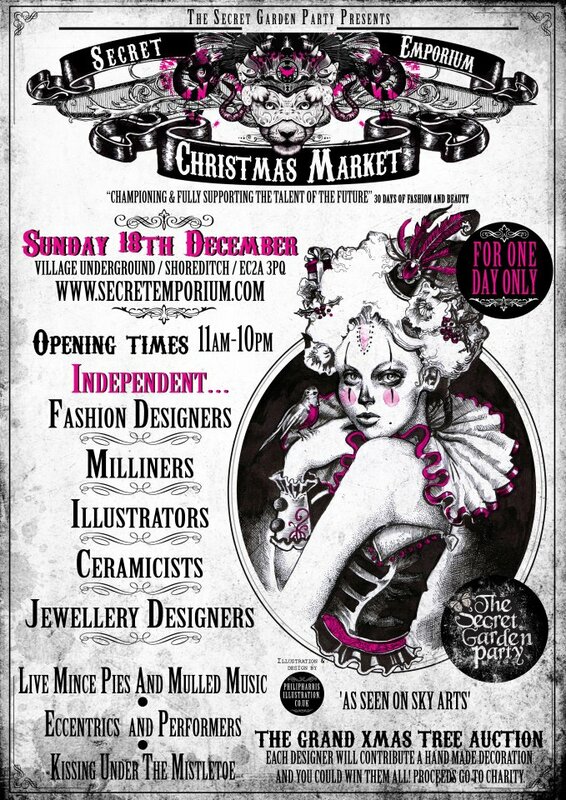 It will be open from 11am till 10pm, so swing by any time… there is a good map and pictorial guide to finding the venue on the Secret Emporium website.